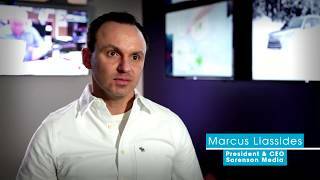 Sorenson Media provides a new generation of technology to enable smart televisions to become part of the networked digital world through analytics, intelligent ad serving, and interactive applications. Sorenson Media provides online transformative capabilities to automate and vastly improve viewer analytics and to serve individual ads to the smart TV in a manner similar to how individualized ads are served on internet browsers. We wanted investors who understand our technology and vision and who have a passion that matches our own. SCP has an impressive track record in technology growth companies, and they really understand what it takes to scale a business like ours. In SCP we found investors who we trust to act as true partners - they were an easy choice.